Item number N1.478 from the MOA: University of British Columbia. 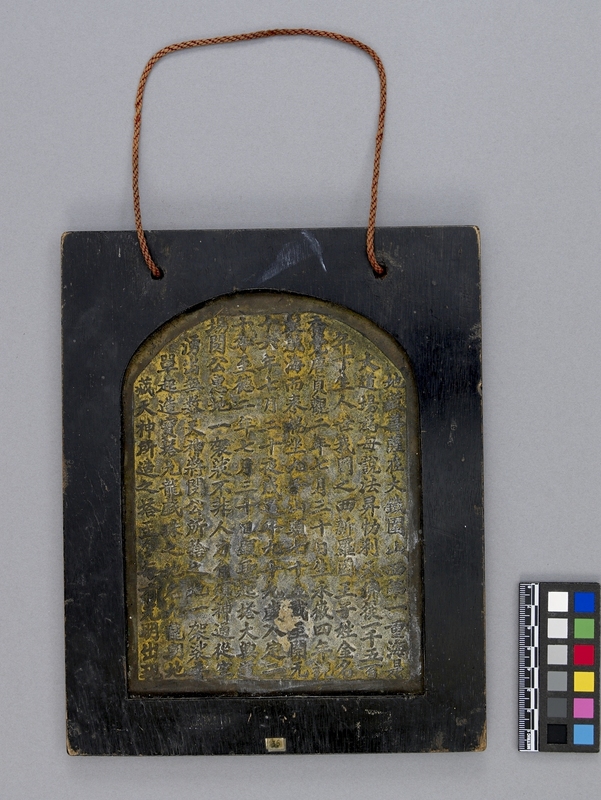 A rectangular metal plaque with a wood frame having rope for hanging. One side has characters telling about life of Sakyamuni Buddha. 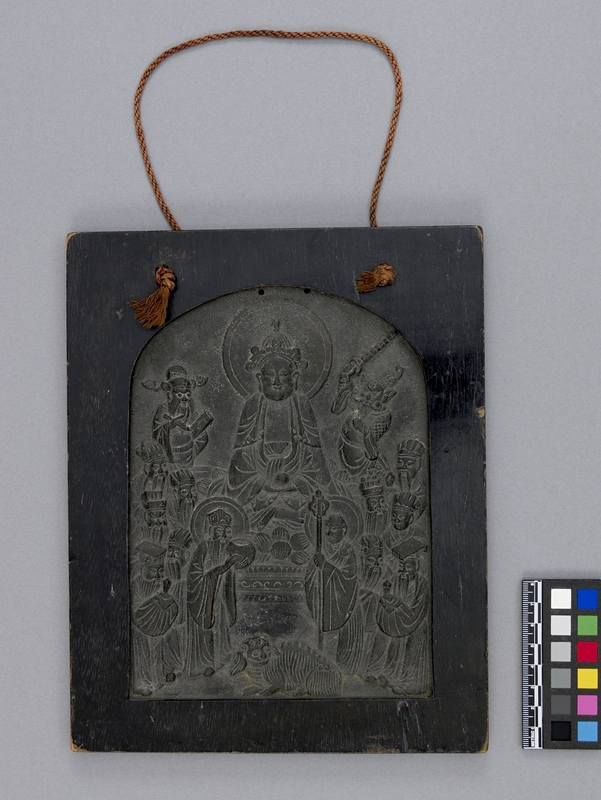 Opposite side has Sakyamuni in seated position surrounded by guardian king, priest, and scholars. All in relief. Dark finish. Used as a wall hanging.